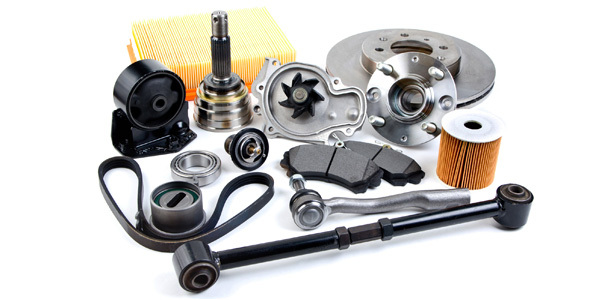 Auto Parts Distribution: What's in the Cards for 2019? Are Your Customers Ready for Summer Road Trips? As we kick off 2019, it’s human nature to think about what could be in the cards for the year ahead. Making predictions is part of our ethos. We make predictions about everything from elections to GDP growth to Oscar winners. We buy Super Bowl squares at work, and we fill out our brackets when March Madness rolls around. And every morning, many of us turn on the local news – or look at a smartphone app – to try to anticipate what the weather will do today. So, what can we expect to happen in the automotive aftermarket this year? Well, 53 percent of the people who responded to our “2019 Aftermarket Outlook” poll on Counterman.com believe it will be a good year for the aftermarket. Nearly 10 percent believe 2019 will be about the same as 2018. (By many accounts, 2018 was a solid year for the aftermarket). Meanwhile, 23 percent of the poll respondents are expecting a tough year for the automotive aftermarket. (Poll results are as of Jan. 11). As we’ve reported in recent months, the business environment looks favorable for the automotive aftermarket, and the news seems to keep getting better. In December, for example, Edmunds forecasted U.S. new light-vehicle sales of 16.9 million units for 2019, compared to expected sales of 17.2 million new vehicles in 2018. With positive economic trends such as low unemployment, high consumer confidence and low gas prices – all boons to the aftermarket – expected to continue in 2019, new-vehicle sales will remain at a historically high level, Edmunds predicts. At the same time, rising interest rates, higher vehicle prices and tighter credit could push many buyers into the used-vehicle market – or drive them out of a purchase completely. That sure seems to paint a positive backdrop for aftermarket distribution. For a deeper dive into the 2019 aftermarket outlook, check out our annual distribution preview, beginning on Page 14. The section features insights and perspectives from a who’s who of automotive aftermarket leaders, and (spoiler alert) most of them are feeling pretty bullish about the year ahead. Predictions aside, we wish all of you a successful, happy and safe new year. Let’s make 2019 a great one!